Encore Tickets founder and CTA's chairman John Wales, Visit Heritage's founder Sarah Greenwood, and transport and travel consultant Allan Edmondson, are set to appear in The Tourism Society's annual Question Time panel discussion at British Tourism & Travel Show 2018. 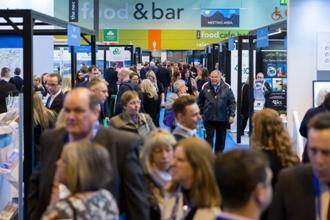 The largest domestic tourism showcase of the year returns to the NEC Birmingham next week on 21-22 March, and is expected to welcome over 2,600 attendees, including some of the UK and Ireland's biggest domestic tour operators, coach operators, and travel organisers. The Tourism Question Time session will take place at 2.15pm on Wednesday 21 March, with a lively debate into the future of the domestic tourism sector - chaired by Bernard Donoghue, chairman of the Tourism Alliance and director of Association of Leading Visitor Attractions (ALVA). As in previous years, Donoghue will be inviting questions from the audience to put to the panel. Topics are likely to include Brexit, safety and security, customer experience, and general domestic tourism trends. 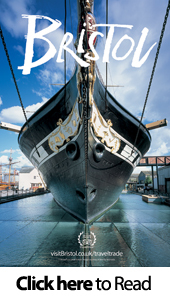 Discovering the latest group packages, tours and incentives from over 270 visitor attractions, venues, destinations, hotels, transport providers, associations and DMOs (from across the UK and Ireland) is just part of the British Tourism & Travel Show's long-standing appeal. Visitors also benefit from expert insights, strategies and ideas (that can help their travel companies) from a host of senior industry figures in the show's free-to-attend Keynote programme. Previously confirmed sessions include: Angela Rippon CBE; Google's industry head of travel, Ruairidh Robert; Justin East, director of innovation at Merlin Entertainments; Max Sinclair, founder of EcoCompanion; and Andy Headington, CEO of Adido. The show will also see the return of the AGTO's (The Association of Group Travel Organisers) 'Question Time: The Changing Face of Group Travel'. Taking place on Thursday 22 March at 11.30am, this lively session, exclusively for group travel organisers, will be facilitated by AGTO's CEO Wendy Hartley-Scarff. Tricia Regan (South Quay Travel), Luke Golding (Travlaw LLP), Steve Reed (Steve Reed Tourism), and Julia Passmore (GTO Association of Friends) are among the panellists sharing their thoughts around the current issues and challenges facing group travel organisers today. Kicking off the Keynote line-up, Jody Farrer, VP of marketing at Chute, will be offering visitors tips about how to use social media for their travel businesses on Wednesday 21 March at 10.30am. In her Keynote session titled 'Conquering Social Media: Do's and Don'ts' Farrer will advise on how to get the most out of platforms like Instagram and Twitter and will cover topics such as publication tools (Hootsuite, Buffer), how to employ user generated content (UGC), follower engagement, and examples of social media best practices. Andy Woodward, an award-winning tourism professional from MTMI - Quality in Tourism will be delivering a session at 2.15pm on Thursday 22 March about finding the right attraction or hotel for group organisers. He'll be considering how quality assessments and star ratings work hand in hand with on-line reputation and hotel websites to ensure that visitors maximise credibility and minimise risk in selecting the best solution available. "Our tourism in this country is extraordinary - we've got an amazing industry, with millions of visitors coming over to visit Britain. 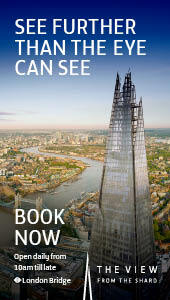 We have a lot to showcase and a lot to sell, and this is what today [at British Tourism & Travel Show] is all about. We have brilliant leaders in this industry who are doing a great job," says Adam Henson from Countryfile &#40;and previous Keynote speaker&#41;.